Just Building a MLM Team Is STUPID! 1. You don’t own the MLM Company – You have no ownership in the company and have no say what the company leadership does. They can change the compensation plan or rules at any time and almost destroy your business overnight. 2. You don’t own the downline – When you are building your team, you don’t own your downline. In most cases, there is a clause in your contract that you can’t contact them or take them with you if you decide to go to a different company. 3. You don’t own the products or intellectual property – The trademarks and products are owned by the company and you have no say whatsoever. 4. You can be terminated at any time for any reason – Like it or not, all contracts say that the contract can be terminated at any time, even without a reason. You could wake up and get a call one day saying you have been terminated and never even told why. You could lose EVERYTHING overnight, that took you a period of years to build. 5. Your company could shut down and you could lose everything – Companies come and go. I’ve seen hundreds of people lose their team and income because the company went out of business. Very few businesses in ANY industry make it to the five or ten year mark. 6. You don’t have a way to make money off the people who tell you NO – This is hands down the BIGGEST reason that just building a MLM Team is flat out stupid. Even if you are a master prospector or recruiter, most people will tell you NO. If you don’t have a way to make money from these folks you are leaving a lot of money on the table. 7. You don’t own anything – Here’s the bottom line: If you are just building a MLM Team, you don’t own anything. You might think you have a business, but you don’t. The company is in complete control and you are the pawn. These are the reasons I think just building a downline with your MLM Company is stupid. While I am a big fan of the industry, and I think it’s a good idea to build a team of distributors, I think the check from your MLM Company should be ONE of MANY income streams, not the only income stream in your business. Multiple streams of income is the ONLY way to go as I see it. I think it’s much wiser to have five income streams each providing $1000 per month than it is to have one income stream providing $5000 per month. Study any top earner and you will quickly discover that they follow this advice. Most of the top earners make money from leads, systems, training products, speaking and consulting, their blog, AND their MLM Company. This gives them better profitability and long-term stability in their business. If something goes wrong with their MLM Company and their income is wiped away overnight, they can quickly rebuild with another MLM Company. If you are serious about MLM, you should do the same thing. The sooner you can create multiple streams of income, the better off you will be. By all means, keep building a downline. But, make sure that you have additional income streams in your business. Wisely said. Having multiple streams of income is the best way to protect yourself in the long-term, especially given the current state of economic affairs. If all of your money comes from one source and that source starts to face some trouble, you have nothing to fall back on. Meanwhile, with multiple streams of income you still have other outlets from which to profit if one starts to slow or stop working altogether. It is a wise strategy that the smartest business people abide by. Yes, multiple streams of income is the only way to go as I see it. I agree wholeheartedly! You never want to have all of your eggs in one basket, whether it be your investment portfolio, your savings accounts, or your income. 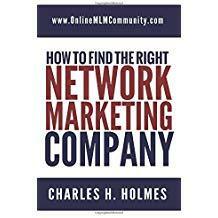 As far as devoting all of your efforts towards building a down-line for a single MLM company, that is risky for every single reason that you listed. You are not really working for yourself when you are involved in MLM: you are helping to build someone else’s empire, not your own. Do not devote your life to it: branch out. If you only have 1 car and it breaks down, what are you going to drive. You need a back up vehicle. The same is true in MLM,always have a backup for Murphy law. Whatever can go wrong , will go wrong.